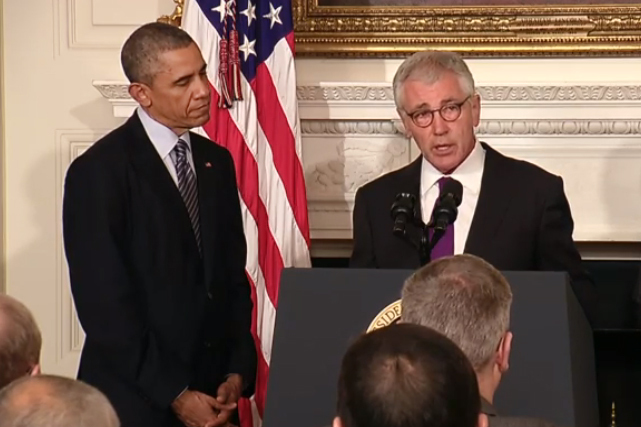 Immediately after Hagel’s announcement names were being flung around as possible nominees. Among them were U.S. Senator from Rhode Island and former Army paratrooper Jack Reed, former Under Secretary of Defense for Policy Michèle Flournoy, and Secretary of Homeland Security Jeh Johnson. It didn’t take long for Senator Reed to announce he had no plans of leaving the U.S. Senate. Flournoy, who many believed was going to be nominated by the administration after Leon Panetta’s departure in early 2013, bowed out of the running last week. Flournoy is currently the CEO of the Center for a New American Security. Similarly, Secretary Johnson withdrew his name as a possible candidate for nomination earlier this week. Another name that was being floated was that of former Deputy Secretary of Defense Ashton Carter and it is now being reported by the New York Times that he will likely be President Obama’s choice for nomination. Carter, who holds a PhD in theoretical physics, served as the Pentagon’s deputy secretary under both Panetta and Hagel. In this same New York Times report it is noted that both military and civilian personnel in the Pentagon seem quite welcome to the idea of Carter taking over for Hagel. Carter is a well respected individual in the Pentagon and Washington, but with Congress set to be taken over by the Republicans in 2015, his nomination may not go as smoothly as the administration might hope for. Expect them to press on the administration’s Syria and Iraq policy, as well as bring up the allegations that national security and foreign policy is far too often micromanaged by the White House. But what is forgotten is that the president is the “Commander in Chief” under our constitution and many presidents have inserted their policies and preferences upon the military. The most glaring example is a Republican, namely Abraham Lincoln during the Civil War, who not only ordered changes in command, but also strategy and visited the field to meet directly with his generals. The same is true of Bush II and even his Vice President without much of an outcry from Republicans in Congress. In the end, presidents have the right to set our defense policies and implementation. With the departure of Secretary Hagel it is unlikely that President Obama will change his fundamental views on American interests, the risks of action or inaction, and perspective of American military engagement in the region unless the situation on the ground changes in ways that require adjustments which he has already done by adding some 3,000 military personnel to train and advise Iraqi forces and intensified the bombing campaign against ISIS. Expect more posts on this very subject and related subjects in the coming days and weeks. I read the above comment about the strongest military the world has ever known and think the president might have added ‘most costly.’ Some other question could be asked, as ‘how well is this strongest military doing in the wars it’s fighting?’ I do not like being negative, but I really wonder how well-prepared/equipped for the kind of wars we fight. When was the last ‘dog fight,’ and how much are we spending on fighter planes? Then I ask, what are we doing in Muslim countries? In how many of them are we REALLY welcome? And, if it’s about oil . . . were western companies not involved, wouldn’t those countries still want to sell their oil? Here’s hoping the next Sec’y of War . . . Defense (excuse me), runs a tight ship, roots out waste, supports the State Department in its handling of foreign policy, and minimizes the influence of Congress visa vis the purchase of equipment.